Four children. A Dangerous Quest. A puzzle to be solved. A kingdom to save. This fantasy adventure series is about about four children – Ethan, Lily, Saxon and Princess Roana, who set off on a dangerous quest to save their families, their land and the Royal Sun Sword. 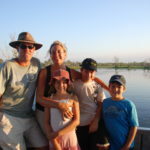 Belinda originally wrote these books for her own three kids – Nick, Emily and Lachie. Magical and exciting, full of wonderful creatures, mysterious codes and puzzles, and with four courageous young heroes and heroines, this series will delight all 8 to 12 year olds. After their village is attacked, a young brother and sister set off on a dangerous quest to save their captured family and friends – and free their land from the Sedah invaders. Where are Ethan and Lily’s parents being held? And where have the Sun Sword and its magical gems been hidden? Joined by their friend Saxon and the determined Princess Roana, Ethan and Lily must solve puzzles and riddles, escape legendary sea monsters and outwit bandits along the way. But the greatest threat to the children is the sinister Sedah tracker, Sniffer, who is close on their trail … Can the four friends find the Sun Gem – before the Sedah can find them? 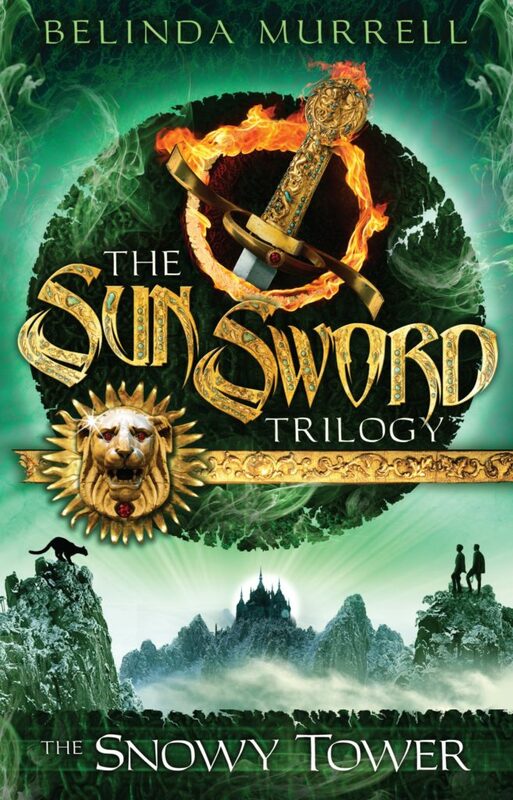 How would you describe the Sun Sword Trilogy? They are fantasy adventure books about a dangerous quest where the children are empowered to solve the problems of their world, largely without the interference of adults. The children must be brave and clever, and resolve the challenges they face using their own wits and strengths, working together as a team. My children love codes, riddles and puzzles so I always include lots of those throughout the books. There are lots of beautiful animals in the story, as well as some fantastic and magical creatures. 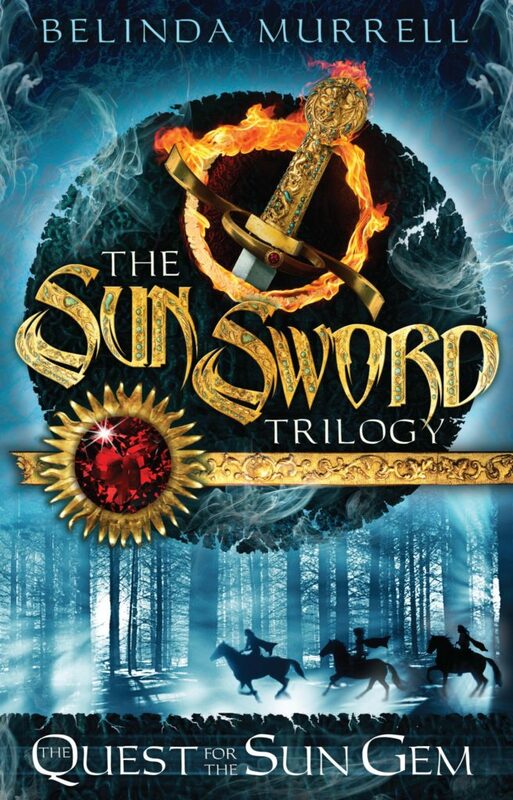 Why did you write the Sun Sword Trilogy? The Quest for the Sun Gem (book one in the Sun Sword trilogy), was the first children’s book I wrote. I originally wrote this for my own children, Nick, Emily and Lachie and filled the story with all the things that they loved about books – fantasy, action, adventure, codes and puzzles, bows and arrows, swordfights and battles, and magical creatures. The SS Trilogy is about 4 kids who set off on a dangerous quest to save their families, save the royal sun sword – and save their land. 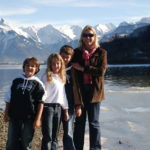 My children have always loved exciting adventure stories and fantastic quests where the children were brave and strong and clever. Books where children were empowered and able to take on the adult world and win! They loved magical gems and cracking codes and puzzles. They loved books that were funny but also challenging. My sons Nick and Lachie loved reading about dangerous quests, swords and bows and arrows, and battles, while my daughter Emily loved magical creatures, strong girl characters who weren’t afraid to get dirty and animals. So I decided I wanted to write a fun, adventure series that was exciting, humorous, and filled with all the things my children loved about books. That was challenging with rich vocabulary and imagery, and lots of levels for children to think about. I wanted to show ordinary people working together to make extraordinary things happen. So the children in the Sun Sword don’t use magic – they need to use their wits, to get them out of trouble. Also because I wrote it for my kids, I based some of the characters on my children. For example my hero Ethan is very much like my son Nick – he is brave and clever, and is very good with a bow and arrow. My son Nick also has browny blonde hair with a streak of silver in it, which is very unusual for a kid, so I gave that characteristic to Ethan. I also gave him a crooked eyebrow just like Nick’s. Ethan has a sister called Lily, who has long, blonde curly hair to her waist, just like my daughter Emily. She is also really calm and quick thinking, just like Emily. Ethan and Lily have a best friend called Saxon, who is cheeky, mischievous and loves telling jokes! Well perhaps you might have guessed that my son Lachie is just like that. Lastly, there is Princess Roanna. Well I don’t actually know any princesses so I thought she must be rather snooty and stuck up, as she must have been spoiled her whole life, so she is rather an unpleasant character. Where did you get the ideas for the trilogy? From all sorts of places. Some of the adventures are based on experiences I have had during my own life. For example, in Voyage of the Owl there is a terrible storm and the ship is nearly lost when a rope gets caught around the rudder. One of the characters has to jump into the wild ocean, dive under the ship and cut the rope free. When I was a teenager I sailed with my father from Queensland to Sydney and we experienced a ferocious storm where this happened. My father left me alone on deck and dived under the yacht. He was gone so long I thought he was dead but he managed to free the rope and the yacht was saved. What are some of the themes that you explore in the Sun Sword Trilogy? The themes that run through my books include adventures and animals, herbs and healing, mysticism and magic, which is probably a result of my own childhood. My father was a vet, so we grew up with lots of animals – four horses, four dogs, four cats, lambs, piglets, calves, possums, even a baby wallaby who lived in a sack on the kitchen door. I was always riding horses, and helping my father in the vet hospital looking after animals. Dad also used to take us off on adventures to the countryside, out to cattle stations where we’d sleep in the shearing sheds. We’d help birth calves and sheep, or rub the newborn puppies to life as they emerged from a caesarian. 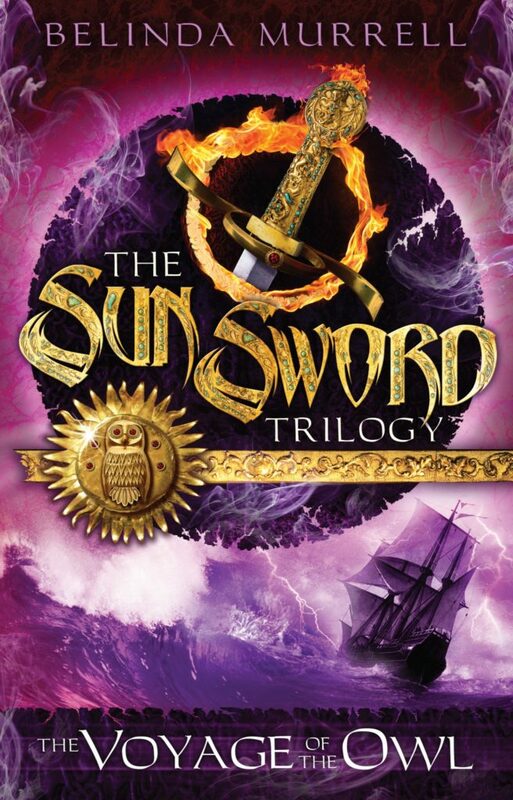 What were some of the best things about writing The Sun Sword Trilogy? I loved creating the Sun Sword Trilogy – but most of all I love seeing children reading and enjoying my books. In Manly I saw a boy walking along the road, reading The Quest for the Sun Gem so engrossed that he bumped into a lightpole. Many parents have mock scolded me because their children have been caught late at night reading the book under their bed clothes, or reading it under the desk at school in class time. But perhaps my favourite was an email I received from a parent which said her daughter wanted to be an author when she grew up, and she wanted to write a book which was a cross between Quest for the Sun Gem and Eragon. I cannot think of a better accolade than that. Magical and exciting, full of wonderful creatures, mysterious codes and puzzles, and with four courageous young heroes and heroines, the second book in the SUN SWORD TRILOGY will delight all 8 to 12 year olds. Ethan, Lily, Saxon and Roana have cracked the code, only to find that the Moon Pearl is being sent by ship to the land of the invaders. The four children must give chase to save the precious stone! The fisherfolk can help. So can Saxon’s mysterious acquaintance, Fox, a smuggler who will do anything for a pouch full of Roana’s gold. But the sea is far more dangerous than the land. There are sea monsters and wild storms – not to mention the deadly warship they are chasing. Will Fox’s stealthy black sloop, the Owl, carry them to safety, or will the Moon Pearl remain in the hands of their enemy? The adventure is far from over as Ethan, Lily, Saxon and Roana ride for the snowy mountains to rescue a prince - and save the kingdom. Even with the Sun Gem and the Moon Pearl safely sewn into the hem of Roana’s cloak, the quest is far from over. Lord Lazlac is planning to marry Queen Ashana to secure his rule of Tiregian, and the queen cannot escape or rebel against him – not when her young son, Caspar, is being held captive by Sedah priests in the snow-covered mountains to the north. It is up to Ethan, Lily, Saxon and Roana to travel deep into the mountains to find Roana’s brother before it is too late. But have they forgotten about the uncanny tracking abilities of the persistent Sniffer, who would stop at nothing to find his prey?